Founded during the late 1950s by the unlikely combination a master butcher and a German engineer: GILes Smith and BERNard Friese. Giles Smith a local butcher living in Church Village near Pontypridd South Wales had decided that he wanted a glass fibre special as were common in the 1950s. 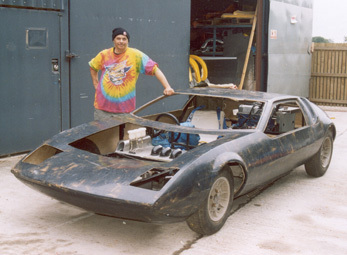 Through a chance meeting with Bernard Friese, he discussed the possibility of building a one off car. Bernard was a German ex POW who had stayed on in Kent and married after the war. 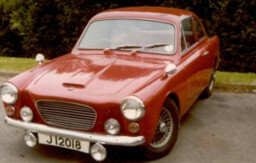 For a time Bernard had been working for a coachbuilders who had also produced a glass fibre special called the Martin. 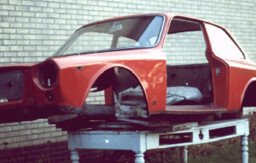 Initially Bernard had attempted to dissuade Giles from buying or building any of the current specials then on the market, however they decided to build a car from scratch. Then as the car was nearing completion, the well known local amateur racing driver Peter Cottrell was asked to come to view and inspect the car. It was realised that the car was too good to be simply a one off, and it was decided that there was a potential market for the new Gilbern GT. The bodywork having to be winched down from the first floor onto the ground and a pear tree had to be cut down to remove the finished car from the back garden. 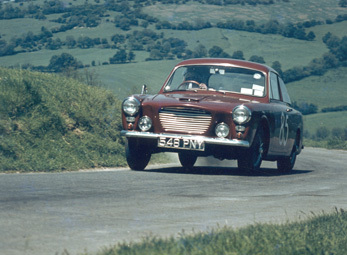 In May 1960 the car was road tested by Autosport and the reaction was very favourable. The first 3 or 4 cars would be built behind the butcher’s shop, the second car being for Peter Cottrell. At first it was decided that the car should be made available as a basic kit, of body and chassis and that the owner would then source the necessary mechanical parts. The result of this was so bad that it was decided that the car would only be supplied with all new parts, a complete component car in the form of the current Caterham Seven. 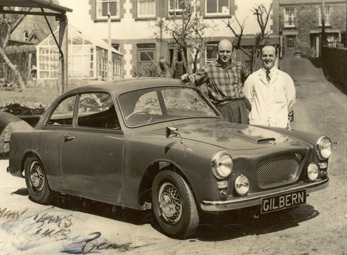 In the early years one of Gilbern’s problems was that they would have to buy engine and gearboxes over the counter from local dealers, as the quantities were so small they were unable to obtain trade discounts. This somewhat derogatory term of kit car tends to bring to mind a car built from second hand bits acquired from a scrap yard. The Gilbern was supplied almost finished, it was painted, wired and trimmed. The requirement by the owner was to fit, the engine and gearbox, back axle, wheels, exhaust system and various minor trim components. Usually this task could be completed in a weekend, although it took some six weeks! All the components were new and under warranty by whichever manufacturer they came from. The reason for purchasing the car in component form was that it avoided purchase tax which at this period varied between 45% and 19%. With steel wheels and leaf springs at the rear, while a variety of engines were offered, either supercharged or the Coventry Climax. In 1961 a site was purchased with a loan of £700 from Giles father. This had formerly been the site of the Red Ash Colliery but had not operated since 1921, just a mile from Church Village next to Llantwit Fardre railway station. A collection of second hand pre-fabs were acquired which Giles and Bernard then erected. Only part of the site was used by Gilbern with other units being rented out, most notably to Pats Pickles. During 1961-62 cars were built at the rate of about 1 a month with about 5 people in total working at the factory, both Giles and Bernard being heavily involved in the actual building of the cars. Changes to the GT were gradually made introducing wire wheels and trailing arm suspension at the rear. As time passed the cars became more standardised firstly with the MGA engine and then the MGB, becoming the Gilbern GT1800. 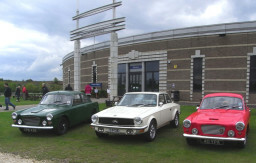 Some of the sales were to come through Peter Cottrell’s racing acquaintances and the car was exhibited at the Racing Car Show for the first time in January 1961 and would continue to do so until they were accepted by the SMMT in 1965 when they were able to have a stand at the London Motor Show. Staff and numbers of cars built were gradually increased until they were building one a week with 20 staff. Attempts were made to export cars during this period, a batch of 3 left hand drive GT’s were exported to the USA, but mostly the business was concentrated on the home market. Compared to the GT this was a radical departure. A much larger 2+2 Grand Tourer with considerably more power from the new Ford V6 Essex and a highly distinctive body style. 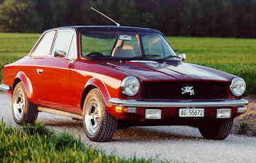 Ford had offered Gilbern in advance of their launch the new V4 and V6 engines. Gilbern tried the V4 in the last of the GTs but it was seriously down on power and of poor design compared with the V6 engine. 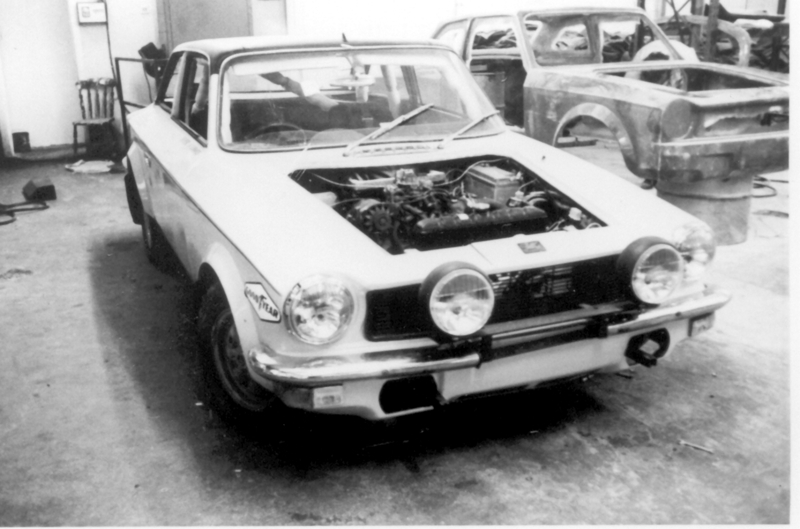 The V4 GTs were converted back to the MGB unit and further plans to use the V4 were not continued. The Genie came on line in 1967 with the new V6, although the GT1800 continued to be built for a short period. The original Genie was based around MGB mechanicals, although Austin Healey 3000 rear axles were also used, the first 30-40 cars were all on wire wheels. During this period up to 1968 Giles and Bernard had managed to keep the company going well enough but they were constantly short of money and there was little available to further expand to increase production. There was also concern that they did not wish to increase production too quickly and become involved in large financial loans. Cars had largely been built to order via a small group of dealers. ACE was run by the Collings family and consisted of a number of different concerns, most well known being the one arm bandit slot machines. One of the sons, Roger Collings, was a great car enthusiast and had a considerable collection of vintage cars. He was aware of Gilbern as the family and the ACE Company were based close to the factory. Giles and Bernard stayed on as directors but Giles left soon after. Bernard was to continue for another year with the company, assisting with the continued development of the Genie and its replacement the MkI Invader. Roger Collings put in a new managing director by the name of Michael Leather to run the factory, the Collings family were also involved in the day to day running, particularly Roger’s father, Maurice. The Collings family had the necessary financial backing to be able to expand the Gilbern works and to take on new staff. They took various other units on the site that had previously been rented out and increased the work force from 20 to nearly 60. Although the considerable expansion did not result in an increase in production, 1969 saw a slight increase to about 100 cars but this had dropped in 1970 to 60, only during 1971-72 would production increase to around 4 cars per week. The chassis changes appear to have caused some problems and criticisms amongst the press as regards the general handling. The front of the chassis was not stiff enough and stress cracks started to appear quite early on, this would also occur on the Genie but was not evident until sometime later. There were also plans to market a completely new car, the T11. This was to be a rear engined 2 seater using the transverse Austin Maxi engine and gearbox, a similar configuration to the Diablo that became the AC 3000ME. 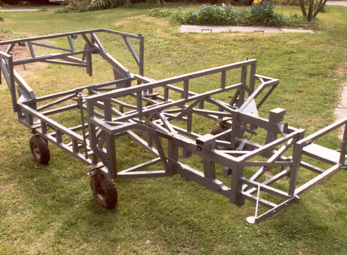 A prototype was built and tested, together with parts for at least 2 others. This project was shelved as it was felt that the potential market was somewhat uncertain and they thought that it was best to stick to a product that they were known for. At this period Marcos had closed down and there was considerable uncertainty about this type of small sports car, there were also forthcoming problems with marketing such cars in the USA with new safety legislation. It was to be released in June the following year but following some technical problems it was delayed and eventually released in September 1972 but in time for that year’s Motor Show. To simplify construction the majority of mechanical components came from Ford. 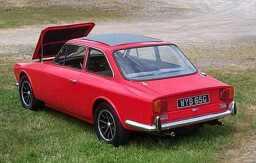 The suspension was based on the MkIII Cortina with a modified rear axle with trailing arms and Panhard rod as on previous Invader models. The car was to be sold only in fully built form. The advent of VAT and the savings available from buying the car in component form would now disappear. This was to potentially have quite an effect on sales as a constant 90% of cars in the past had been sold in component form. They would be selling to a rather more demanding customer. The cars had never been cheap but by now they were at a similar price to a Jaguar XJ6 or BMW 2002. A serious attempt was also now made to export the car in a fully built LHD form. A dealer was appointed for Holland and there were plans for other European dealers. 9 MkIIIs were built in LHD form and exported. It seems likely that the Collings family’s other business interests had been financing Gilbern over the previous few years when it was running at a loss, they felt they were no longer in a position to continue this. Company debts at this point were around £90,000 but most of this was paid off by the Collings family. Under Michael Leather’s control outside consultants to improve quality control, time management etc were brought in to generally try to improve the productivity of the company and make it profitable. A new potential partner, Roger Salway was also brought in. Originally it had been the intention to launch a long wheelbase version of the MkIII as there had been criticisms of poor rear leg room. This lengthened chassis was also to have an estate version. A LWB saloon was built but not finished, although it was finally completed in 2012! This required minimum production was rarely reached and would often require working at weekends and much overtime. In July of 1973 the company’s debts had once again reached £90,000 and the receiver was called in, Roger Salway had also decided to leave. By September 1973 a new investor, Anthony M Peters joined the company with Michael Leather and a proposed investment would be £750,000 over the next five years. 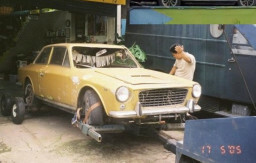 Production resumed, but by March of 1974 Gilbern once again ceased trading. There were never any real problems with orders or selling the cars, although the market was always comparatively small. It is more probable that the economic effects of the crisis on the stock market and the country in general with the 3 day week may have had more to do with problems regards finding potential investors and keeping them involved with Gilbern. During the period when Giles and Bernard had run the company they had built cars mostly to order and expansion had been cautious. I believe that most of the financial problems occurred due to a too rapid attempt by the Collings family to increase production and also having too many projects on the go at the same time. A large increase in the labour force had not seen a significant enough increase in the number of cars made. There had also been inadequate planning around how to train the new staff. The factory site was capable of producing 20 cars per week but the site itself was a rather haphazard collection of buildings. It is doubtful if the market would have coped with as many as this but it is likely that had production been in the region of 6-10 a week that this would have made the company profitable and it might have ensured its survival. The factory remained with all infrastructures in place. There were 5 separate groups who owned the company during this period. Although new cars were built it is unlikely that any new cars were built from scratch. At the time of the closure in March 1974 there would have been as many as 20 cars in various states of completion. It is these that were completed in odd ones and twos and were then sold. Even today 4 unassembled body/chassis units survive. Originally designed in late 1969 it was intended to appear at the Geneva Motor Show in 1971. Rumours were heard in the club in early 1970 and development work started that year. 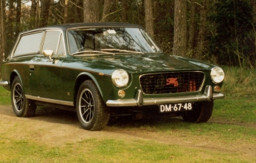 The project was cancelled in June 1971 due to doubts about future sports car legislation and other commitments by Gilbern including a 14,000 sq ft expansion of the factory. The bodywork was styled by Trevor Fiore. 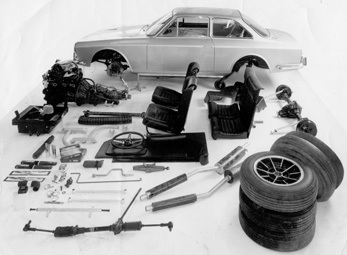 Although the chassis was still a box section space frame it was quite unlike anything Gilbern had built before. Not such a strange choice of unit, the Diablo prototype that eventually became the AC 3000ME originally used this unit as at the time I believe it was regarded as being a very compact package for its capacity. Rumour has it that BL were having difficulties with the early cable change on the Maxi and sent their engineers down to inspect the T11 as this was using a Gilbern designed solid change. Although of interest now is that current owner Gordon Johnson found that the gearbox selector pattern was a very strange arrangement, with 1st and 2nd in the middle, 3rd and 4th to the left and reverse and 5th to the right, and with 1st and 3rd back not forwards. This was as Gilbern had built it, and would obviously have been one of the minor redesign issues that would have been needed had it gone into production. Although only one semi-complete body shell seems to have been completed. One body shell apparently resided at the factory in a corner and gradually disappeared as various bits of glass fibre were cut out to use for repairs on other cars or when a scrap piece of glass fibre panelling was needed! The semi complete car was tested at Castle Coombe on a number of occasions up to speeds of 120mph. No car was ever fully built, minor details (!) like doors, interior and internal panelling were never finished. Supposedly the car cost over £50,000, although the costs do not appear in the company accounts! The chassis was also supposed to have run with a much modified Genie body fitted. 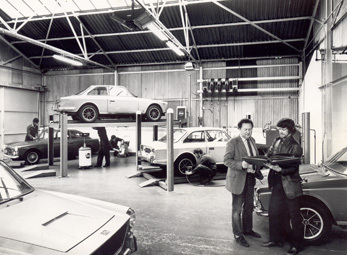 When the Collings family had taken over from Bernard Friese and Giles Smith in April 1968 they had immediately attempted to increase production of the normal Genie/Invader saloons with a trebling of the workforce over a 1 year period, from 20 to 60. As well as the “new” model of the Invader there was also the design and launch of the estate version, the factory was also being greatly expanded to handle these planned increases in production. The body that came with the car was immensely thick and was used as the buck to produce a suitable mould. The dark blue body shell that is seen in later photographs of the car was from this mould, although of course still with no opening doors etc. This body was unfortunately condemned as being unsafe and Gordon Johnston, the current owner, managed to trace the mould and have a new shell produced. Whilst in the clubs hands during the 70s the intention had been to build up one car as a road car and another as a sprint/hillclimb car. Although much work was done by a number of club members, like many complicated projects interest waned and no doubt the rather daunting complexities and potential high expenditure required caused its completion to stall. One has to bear in mind that the car had never progressed beyond the stage of a rolling chassis. Details such as doors, rear tail gate, lights, wiring, windows, windscreen wipers – an almost endless list of items have had to be designed and resolved. 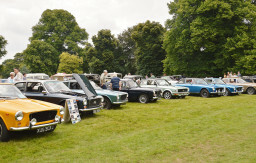 In 2007 the car went to RAW in Herefordshire. This company build a Lotus Seven type road/race car. It was their task to fit a new body and design and build opening doors as well as designing head lamp pods and a wiring loom. The car was finally completed the day before Gilbern National Day in 2009. Since then, following an unfortunate accident which destroyed the engine and transmission, a Toyota MR2 engine and gearbox has been fitted. This was the only suitable configuration of engine that was available. 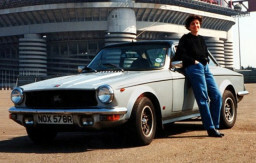 The car is very much a prototype and it is evident that Gilbern would have had some major redesign work to have put it into proper production. It’s incredibly low height of 38” makes it very difficult to get in and out of. The driving position is also limited and very restricted. It is also very quick! Would it have helped Gilbern’s fortunes? It may have helped, as it was intended to be built alongside the saloon models. This may come as a surprise to many people but Gilbern’s have had an almost continuous history in competition from their inception to the present day. 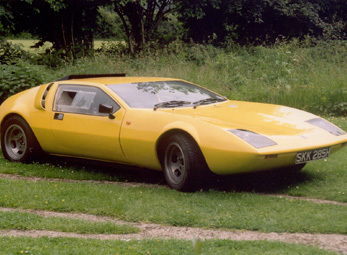 The second GT built was for Peter Cottrell, co-founder with Giles and Bernard. Peter “Taffy” Cottrell was well known in the area as an amateur racing driver. He had taken up the sport in the mid fifties driving a variety of machinery in both sprints/hill-climbs and circuit racing. He had previously driven Coopers, Lotus Bristol and a Lotus 15 to name a few. Within weeks of the prototype being finished and road tested by Autosport magazine in May 1960 it was the intention to race a GT at an MG meeting at Llandow airfield. Peter was to continue racing a variety of GT’s in various forms throughout the 1960’s. Quite a few of the cars were sold through Peters various racing acquaintances, notably to Lyndon Sims who had won the 1956 RAC rally in a Aston Martin DB2, Sims had also taken a 1st in class on the Tulip Rally in the same year. There were also discussions about a possible Le Mans entry. Lyndon Sims certainly took his GT to the 1963 event and appears to have taken part in a demonstration run. Peter was the most consistent entrant, gradually up-rating his GT with a variety of engines, the original A35, A35 Supercharged, Coventry Climax, 1600 MGA and 1800 MGB. He raced 2 different Gilbern GT’s of his own and then became involved with a very special GT built by the factory in 1965. This car was built for Ken Wilson, who had won the 1964 sprint championship in a BRM. Wilson was frequently being beaten by Peter in his GT in road going classes and had adopted the attitude of if you can’t beat them, join them, and preferably with something bigger! This resulted in a racing 4.5 litre V8 Chevrolet engine being squeezed into a GT chassis. 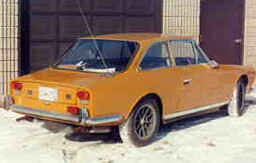 The rear end was also replaced with a Jaguar rear axle. Various spares that Wilson had from his BRM such as wheels and radiator were used on the car! Initial overheating problems, due to a cracked head, were soon cured, but Ken Wilson seems to have found the car rather to much to handle and passed it over to Peter to fully sort. As can be imagined it was quite reasonable in the dry but required some delicate handling in the wet! It was also at Prescott that Rivers Fletcher demonstrated a car in 1964. A Gilbern GT was also to appear at the 1st AMOC Wiscombe Park Hill-Climb. With a few exceptions there has been a Gilbern there every year to the present day. A GTI800 was also rallied in the mid-Iate 60s in the Motoring News championship, apparently taking some class wins, details unfortunately are not known. The factory itself did not actively participate in racing, leaving it to others to compete. After the factory was sold to ACE in 1968 there was some interest by the then owners in doing some semi-official competition entries. One of the family members, Roger Collings was an enthusiastic collector and member of the VSCC. Roger Collings is still to be seen today competing in his 1904 Mercedes. This was a Genie which was partially stripped out and fitted with a tuned Weslake Essex V6. That the car was very fast was in no doubt, but it was felt that the handling left something to be desired. Not wishing to publicly have an accident, and thereby reduce customer confidence, plans to race it were shelved, although it would later appear at Wiscombe in the hands of subsequent members of the owners club. It was used for a time as a works “hack” for collecting spares, and although abused and rarely running on 6 cylinders would apparently see off most things on the road. 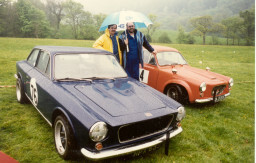 The Owners Club had been founded in 1969 and it would be from this basis that a steadily increasing number of cars would appear at sprint and hill climb venues during the 1970s. 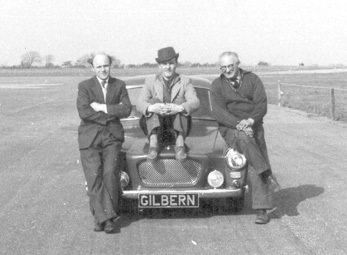 The owner of the London Gilbern dealership, Emil Rosner would appear on the track in his Genie/Invader MkII. 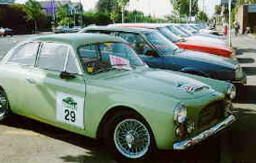 The Bristol dealership of G S Cars had also been racing a lightweight GT1800 during the 1960s. 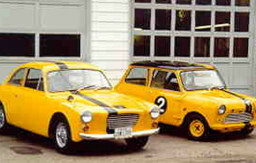 By the time that the Invader MkIII was due for release the factory were again thinking of competition and were planning to offer the Owners Club a lightweight MkIII to race, they were also anxious to see the T11 mid engined prototype finished as the original plan had been that a second car would be built for competition. Nothing ever came of these plans. It did compete in a number of events and was crashed into a tree on at least one occasion. It also took part in a competitive caravan rally! Again details of actual events are at present unknown. With the final demise of the factory in its proper form in 1974 it was left to the GOC to uphold the Gilbern honours on the race track. Throughout the 70’s the numbers gradually increased with all models taking part. 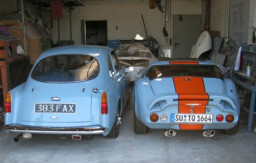 Two GT1800s were very highly tuned and were outright race cars although they were still used on the road. By the 80’s things were really hotting up and members were starting to take things seriously with some very highly tuned and well developed cars. During this period up to 10 cars would appear at a meeting, 6 to 8 entrants was not uncommon. Most notable amongst these entrants was Bev Fawkes. His concours rebuilt Genie would be gradually up-rated until eventually it acquired a racing version of the V6 Essex in the form of a fuel injected Cosworth GA which could produce over 400bhp. This proved to much for the car and it was wntten off at Wiscombe in a horrendous shunt in 1983. Bev was not alone in tuning his car as others joined in to create some friendly rivalry. Nigel Ellis with his MkII had started with a standard car and again had constantly improved it, in the early days using Bev’s cast off engines and tyres! It has over the years taken numerous class wins, and was regularly beating race prepared Porsches 911s and frequently gave concern to drivers of much more recent machinery, even rally cars such as the Lancia Integrale. Other tuned Invaders have been run by Ian Wall, Don Williams and Nick Vandervell. There are many others who have competed, too many to list here. 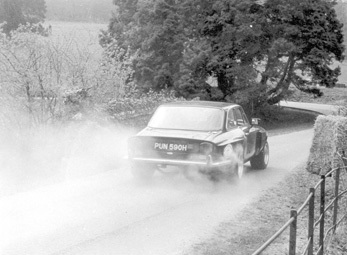 The highlight for Gilbern during this period was a meeting Harewood hill climb in 1986. Admittedly this was a damp meeting but the MkIII Invader of Bev Fawkes and MkII of Nigel Ellis made it to the top ten run off at the end of the meeting, these were the ten outright fastest cars on the day. They were amongst single seater Mallock’s, Porsche 930 and a 7.2 litre McLaren Chevrolet! They finished 8th and 7 respectively. Following a mention in Motoring News this resulted in Gilbern’s being nicknamed Gilbeam’s on the sprint/hill climb scene, this being a reference to the Pilbeam which was and still is one of the quickest specialist single seater hill climb cars manufactured. Don Williams and Ian Wall were also regularly competing at the northern meetings. At the turn of the century new faces would appear in the shape of Philip Ivimey with a V8 powered MkIII and then a purpose built stripped out Genie/MkII. The last few years have seen a number of GTs return to circuit racing with some high powered purpose built track cars. Most notable of these was the rebuilding of the ex G S Cars lightweight GT1800 which has raced extensively on the continent. After a waning period the hill climb and sprint scene is also looking more active with new and past participants returning.